In this practical guide, Santurette and Georgiev show how to interpret water vapor patterns in terms of dynamical processes in the atmosphere and their relation to diagnostics available from weather prediction models. In particular, they concentrate on the close relationship between satellite imagery and the potential vorticity fields in the upper troposphere and lower stratosphere. These applications are illustrated with color images based on real meteorological situations. 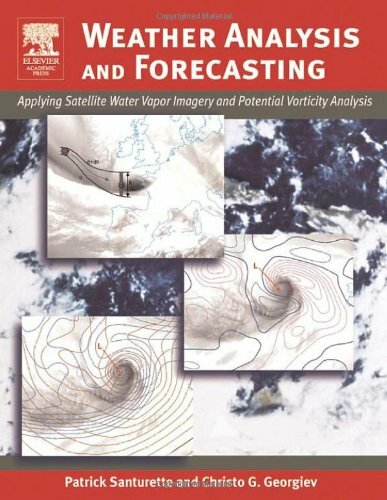 The book's step-by-step pedagogy makes this an essential training manual for forecasters in meteorological services worldwide, and a valuable text for graduate students in atmospheric physics and satellite meteorology. Tornadoes, nature's most violent and unpredictable storms, descend from the clouds nearly one thousand times yearly and have claimed eighteen thousand American lives since 1880. However, the U.S. Weather Bureau--fearing public panic and believing tornadoes were too fleeting for meteorologists to predict--forbade the use of the word "tornado" in forecasts until 1938. Scanning the Skies traces the history of today's tornado warning system, a unique program that integrates federal, state, and local governments, privately controlled broadcast media, and individuals. Bradford examines the ways in which the tornado warning system has grown from meager beginnings into a program that protects millions of Americans each year. Although no tornado forecasting program existed before WWII, the needs of the military prompted the development of a severe weather warning system in tornado prone areas. Bradford traces the post-war creation of the Air Force centralized tornado forecasting program and its civilian counterpart at the Weather Bureau. Improvements in communication, especially the increasing popularity of television, allowed the Bureau to expand its warning system further. By and large, the author has succeeding in drawing together a lot of information.However, it appears to me that she has drawn most of her understanding of the history from a limited list of participants in that history.Because she is not a meteorologist herself, this lack of thorough research leads to her characterizations being rather flat.This is not a bad book for those interested in the history of our science, but it is not a definitive work on the subject. In Scanning The Skies: A History of Tornado Forecasting, Marlene Bradford highlights the development of the US tornado forecast and warning systems from the earliest inception to the modern, multi-component, highly technical system in place today. Ms Bradford begins the book with the historical background into the theories of tornado formation and the early attempts to predict tornadoes in the United States. The major focus of the story, however, begins a little more than a century ago when the first scientific inquiries and debates as to the nature and causes of tornadoes began. Much of the limited early debate appears to have focussed on the negative aspects of a tornado forecasts, even speculating that more would die from panic or illnesses contracted while huddled in damp storm cellars than from the storms themselves! The US Weather Bureau, recognizing the difficulties in forecasting tornadoes and fearing public panic from any such forecasts, actually forbade use of the word "tornado" in any forecast until 1938. When the author reaches the state of tornado knowledge during and just after the World War II years, she reaches the true heart of the story. Bradford gives us a well-documented account of the friction between military and civilian storm forecasters in the post-war years that was sparked by the first storm warnings produced within the US military weather service. She takes us from the events leading up to the first "official" tornado warning forecast of Major Ernest Fawbush and Captain Robert Miller issued on March 25, 1948 to the modern forecast and warning system used today by the US Storm Prediction Center. Having brought the warning system development to the new century, Bradford concludes the book with a chapter an the evaluation of the effectiveness of the integrated tornado warning system over the past several decades. Her analysis shows a difficulty in proving the question as to whether such a system has saved enough lives for the cost of development, implementation and function. I have no real criticism of Scanning The Skies. 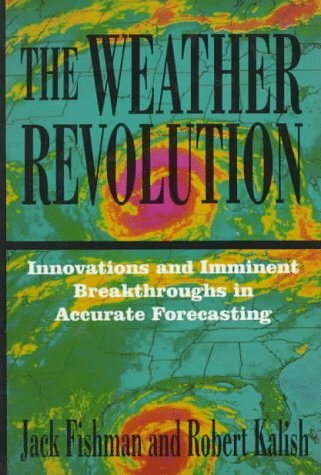 Readers looking for more technical material on the scientific aspects of the history of tornado forecasting may be disappointed in this book as it only briefly and superficially discusses scientific advances that lead to improvements of the tornado warning system (such as the development of Doppler radar). Recognizing that the book is intended to present the history of the process of developing a tornado warning system and not about the science behind it, I feel a little more attention could have been given to some of the more relevant scientific aspects with a few diagrams for clarification as to what forecasters look for when developing a tornado watch or warning forecast. The ultimate guide to the ultimate storms, Hurricane Watch is a fascinating blend of science and history from one of the world's foremost meteorologists and an award-winning science journalist.This in-depth look at these awe-inspiring acts of nature covers everything from the earliest efforts by seafarers at predicting storms to the way satellite imaging is revolutionizing hurricane forecasting.It reveals the latest information on hurricanes: their effects on ocean waves, the causes of the variable wind speeds in different parts of the storm, and the origins of the super-cooled shafts of water that vent at high altitudes.Hurricane Watch is a compelling history of man's relationship with the deadliest storms on earth. The thrilling hurricanes put me on needles and pins.I felt like I was there when it went through.I would recommend this book to all readers of storms.Thank you. Wealth of information and still readable! Dr. Bob Sheets is a previous director of the National Hurricane Center in Miami. Jack Williams helped found the USA TODAY Weather Page.Together these two well respected men combine their unique talents, introspection , scientific facts with intriguing anecdotal tales. The resultmaywell beone of the ultimate books about hurricanes from their formationto the evolution of man's ability to understand and predict their path and power. They blend thelines of scientific fact andhuman experience yielding an accessible guide to a more in-depth understanding of hurricanes.The book covers the early days of meteorology, when it was perceived as almost a mythical ability to the more current up to the moment technological advances at the forefront of climatology and prediction.Also included are tables listing the deadliest hurricanes, strongest hurricanes and costliest storms. The Saffir-Simpson scale is explained and laid out along with a table detailing the strike possibilities by region.There is a section that deals with the computer models utilized by the National Hurricane Center, both the statistical and dynamic forecast models, from CLIPERto SHIPS, from GFDL to NOGAPS.Each model is detailed andit's purpose and focus are explained. Finally there is the most important section, on how to prepare for a hurricane, from things to do before you buy or build your home, preparing ahead of time for hurricane season and what to do from the time a watch is issued, the hurricane arrives andafter the hurricane has passed.This book is a wealth of information for those whose lives may depend upon an understanding of hurricane predictions andthe ability to prepare themselves and their families for the possible onslaught of the hurricane season. This book is like a Colombo murder mystery.You know "who did it," it's just will he or she be caught in time.The answer to the question, in this case, is "no." Dr Sheet's book is a very thorough commentary on the history and study of hurricanes.He provides the reader with an interesting background narrative of hurricanes and their destructiveness that dates from the early experiences of Spanish explorers and early European settlers in the Caribbean, the east and southeast coasts of the US and Canada.He also discusses the typhoon or cyclone in the Pacific and the odd phenomenon that dictates that when there are more of these, there are fewer hurricanes in the Atlantic.He also covers the North Atlantic Oscillation and El Niño, though to a lesser degree than Brian Fagan did in one of his weather/climate discussions. Of far greater historical interest-to me anyway-is his discussion of the various personalities involved in researching hurricanes.It's surprising how much solid study was conducted as early as the 19th century. The author also describes the big name hurricanes.Probably the best is his own experience of Hurricane Andrew in Florida.The story is riveting, especially when, having lived through a very precarious situation himself, he expresses concern over the very real possibility that the storm might move on into the Gulf of Mexico and hit New Orleans.The book was written in the late 1990s, but he is able to thoroughly describe the potential destruction should a hurricane hit the city in full force. As we know, Andrew did not move into the New Orleans area, but Katrina did. The outcome was much as the author had predicted.With so much foresight, it makes one wonder why authorities could have been so lax in taking precautions.It was, in fact, much as many had already said, a case of "not if, but when." The answer seems to reside in that peculiar sense of probability that dictates that "if it didn't happen in my grandfather's time, and it didn't happen in my father's time, it won't happen mine. "Human experience of climate is actually the experience of weather, a relatively short-term phenomenon.While the human life span seems quite long compared to other types of animal, it's infinitesimally short compared to the age of the earth, which is the time frame of climate.It's this grander scale of climatic change that makes the discussions over global warming so contentious, and the appropriate actions to be taken the subject of feud.Everyone has his or her own opinion, and the fact is that we really don't know.The author makes this point when he discusses the possibility that there will be more frequent and more destructive storms with the advent of global warming.Here too, they don't know, but the author is inclined to doubt it.That there will be storms as destructive as Andrew he accepts; that they will be more costly he agrees.But he feels that the latter will be due more to the increasing population of the areas subject to these storms and the unpreparedness of new comers in the face of a phenomenon with which they have no experience. What is amazing to me is that the areas subject to a force of nature as fierce as a hurricane continue to grow in population and that building continues to be substandard, at least under the circumstances, but then the San Andreas fault system is heavily settled with buildings far too fragile to survive another 1906-style earthquake and the fertile flanks of Vesuvius lure farmers to them irrespective of its reputation for death and destruction.The human capacity to ignore what "might" happen looms ever optimistic. 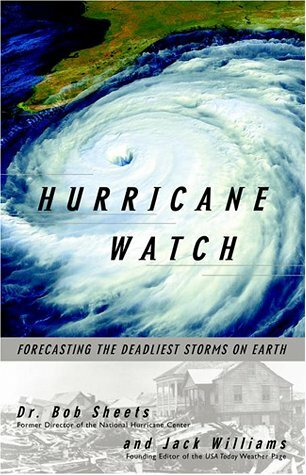 "Hurricane Watch Forecasting the Deadliest Storms on Earth" was an excellent book. It had many great facts on hurricanes in it. It gave me more understanding on hurricanes and how they start. 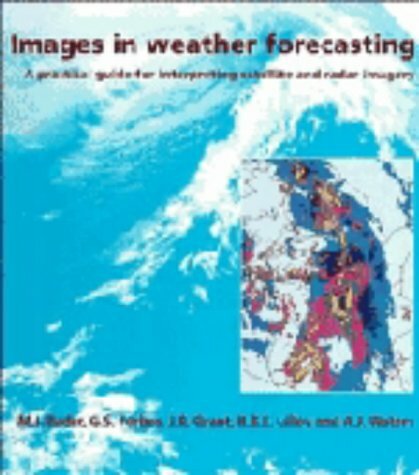 This book is very helpful if you are studying meteorology. 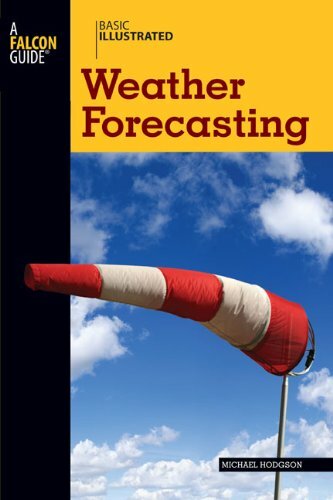 This book is written by Dr. Bob Sheets former director of the National Hurricane Center. He was in charge of predicting the tracks of hurricanes and sending out warnings to the people of the communities where the hurricane will hit. The book goes through the history on predicting hurricanes. It starts with Christopher Columbus and ends with hurricane Andrew. Since it is a sort of old book some of the "New technology" in the book is out dated. Also it does not have anything about the strong hurricanes of today. I recommend this book for anybody who likes to learn about the history of hurricanes. The book had facts on the history of hurricanes. The book was interesting in many places but had some boring spots. Also the book talked about people flying planes into hurricanes for reconnaissance. It had the history of the reconnaissance planes starting from World War 2 to now. The book was a fairly long book. The end of the book had appendices that had facts from hurricanes in the past. It also has a list of all of the hurricanes from 2001 to 2006. In some parts of the book I could not put it down but in other parts it was boring. The book had many great pictures. Some pictures were about what happened after they hit and others were about radar and what the hurricanes looked like from above. If you like meteorology and hurricanes this book is for you. Also if you need to do some research on hurricanes I would recommend this book to you. I was in the middle of reading this book when Hurricane Katrina started heading toward us here in Louisiana. While everyone else was talking about the hurricane and its projected path, I was able to understand exactly what the forecasters were talking about. 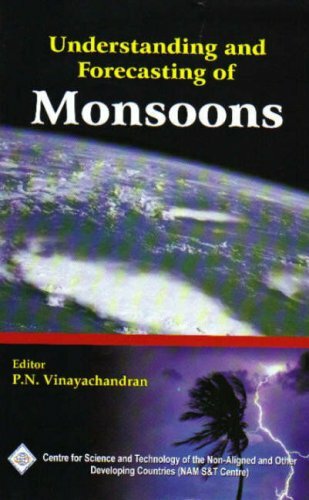 This book explains the dynamics of a hurricane very well - how, where and why they form, and an explanation of the weather phenomena that forecasters (and forecasting models) use to project its path. 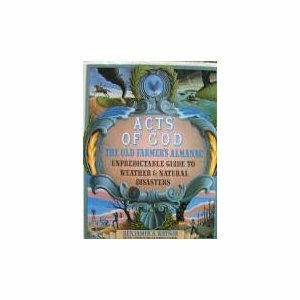 One thing this book has made me realize is that weather is an imperfect science. It seems many people think forecasters are pointless because they're often wrong, but what they don't realize is that there is a LOT we don't know about weather. And we're a lot better off knowing what we know today! It is also strange to continue reading this after Katrina, because there is mention of intense, deadly hurricanes throughout history - and Katrina has really set a new precedent (Rewrite? Heck, I'd buy a 2nd edition!). This is a book that calls for a re-reading anyway. It is so jam-packed with interesting information. There are many explanations of weather phenomena that I had to read several times over because I'm not a scientifically-minded person. 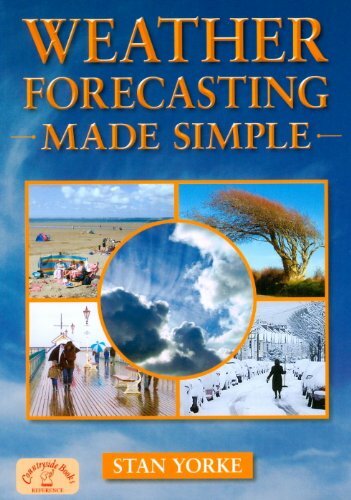 This book explains things very well - but I find that with weather-talk, it helps to have diagrams. Unfortunately, this book has very few (in fact, looking through, I can only find one diagram). This book has excellent appendices! --> A list of hurricane names (2001-06), retired hurricane names. The hurricane probabilities chart is particularly fascinating - it lists names of Atlantic/Gulf coast cities and the probabilities of a hurricane/major hurricane hitting within a given year (Miami/Ft Lauderdale appear to be the two most vulnerable areas). Strongest hurricanes, most deadly hurricanes, most expensive hurricanes (including what past hurricanes would cost today). A glossary of forecasting models. A separate glossary of hurricane terminology. All excellent additions to this book!! The book was somewhat informative however,I found the print in this book to be too small . An information-packed tool for the novice or handy reference for the veteran.Distills years of knowledge in an affordable and portable book. This small book has lots of useful information.It also has lots of color pictures and charts. 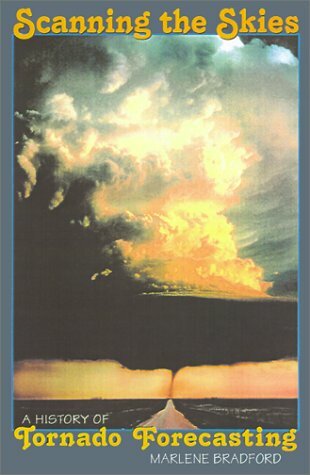 It covers how weather happensand shows you how clouds form and has pictures of the different kinds of clouds.Geographic weather variations are discussed.Weather conditions in snowfields and glaciers, lakes and oceans, and desert environments are explained. Forecasting changes in weather covers using an altimeter and predicting weather changes by using wind direction. Understanding weather processes and terminology is not only a requirement in most schools, it's a skill that can save lives and make travel, work or any outdoor activity a lot more pleasant. Now your students can gain the tools they need to observe, understand and live with weather with The Complete Weather Resource. This 3-vol. source combines the benefits of an encyclopedia, a textbook and an almanac to help students understand all aspects of weather: Vol. 1 — Understanding Weather, Vol. 2 — Weather Phenomena, and Vol. 3— Forecasting and Climate. Have you ever listened to a weather forecast stating there may be a slight chance of showers but the rain is coming down so hard you are seriously considering a lifejacket while standing on the dock? During such times, one suggestion to the forecaster runs through everyone's mind: "Look out the window!!" That is certainly one of the most accurate methods to forecast the immediate weather. Everyone knows the look of the sky when a thunderstorm or squall is moving in, but few know how to determine what is in store more than a few hours ahead. 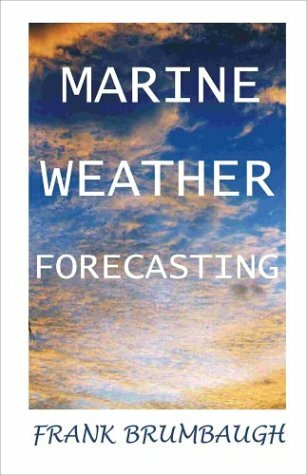 Frank has taken the mystery out of weather forecasting in his book Marine Weather Forecasting. He explains how to tell more about the weather, for hours and days to come, than any broadcast. But you must know what to look for when you go on deck. The wind, clouds, moon and sun all tell the story and Frank explains how to read these signs. Anyone can understand Frank's detailed descriptions of forecasting and the illustrations add to the ease. CAUTION: After reading this book you may never rely on another broadcast report. i have three problems with this book:organization & presentation of material, depth of material and quality of the book itself. i'll start with the quality of the book, as it's easiest to explain.when the meat of the 'forecasting' is based upon you being able to read cloud formations, and the pictures of the cloud formations are in black and white and low resolution, it kind of makes the whole thing moot.if you don't already know what alto stratus clouds look like, you're going to run into some problems trying to identify them after looking at a photo that resembles a sonogram. next, the depth of the material.the meat of the book comes in a chapter that goes over ways to interpret different cloud formations.the material is presented in forty or so bullet point statements, kind of like "if the sky looks like X, then Y will be the weather".now, i'm not saying that the information presented here is necessarily wrong - it's just not really explained.WHY is this the case, you'll ask yourself repeatedly?or maybe you won't.i guess if you have no desire to see the information justified scientifically, you'll be fine with this.personally, i'd like a little science to back up the guidelines presented.the author does occasionally say things such as, "this happens because there is more moisture in the atmosphere, and as a result the sky is red".however explainations are generally too brief for me to consider them to be of real value. finally, the organization and presentation of the book.honestly, the book isn't terribly well written.the author kind of jumps right into things going from A to B to C without creating a real flow or structure to the material.I found myself saying things like "why is he suddently presenting this material here?" 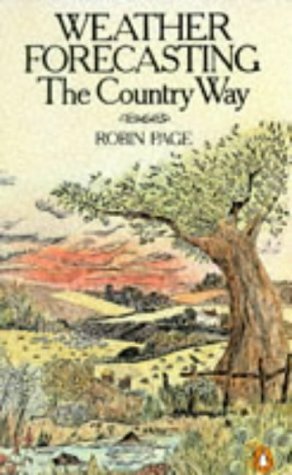 on several occasions.additionally, many people may find parts of the book completely irrelevent, wishing the author took these pages to further explain the good material he does present within the book.